The Synthrotek Eurorack Power Supply Distribution Board is perfect for your DIY Eurorack modular case project. 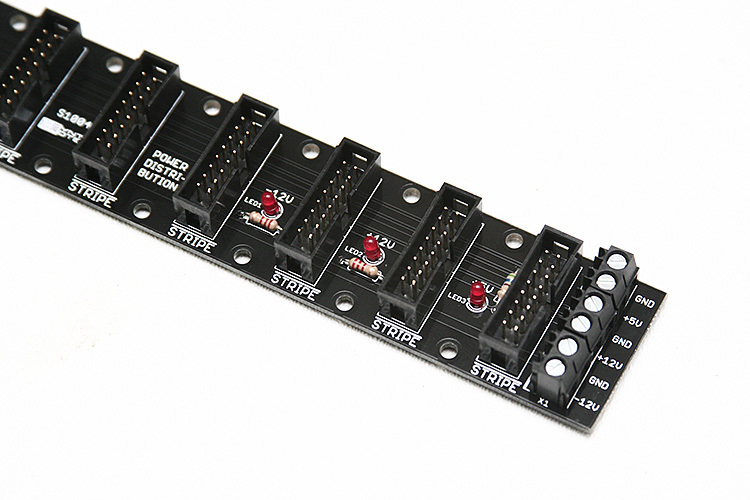 Distro board has all 3 power rails (-12, +12, +5) and indicator LED per rail. Each rail also has its own ground connection. Distro board can be cut down to desired length, which will not damage the distribution board. -12 stripe indicator in the silkscreen allows for greater safety when using unshrouded connectors. 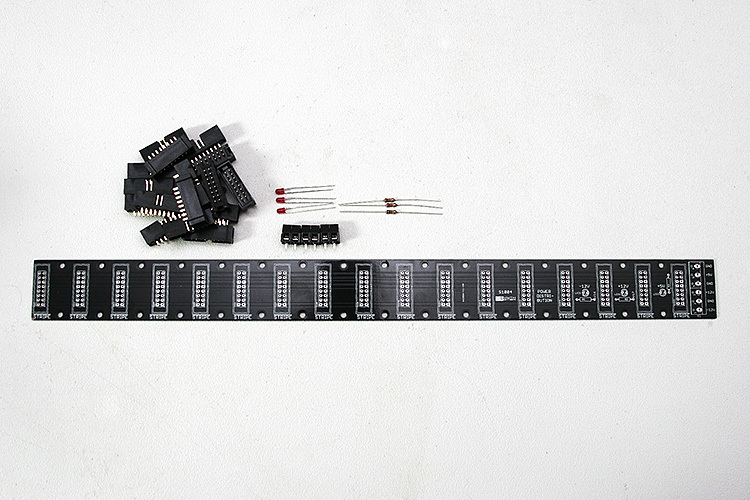 Comes with 17 Eurorack power connections. Board measures approximately 15 3/8'' x 1 3/8''. Please note that this is different from our newer Noise Filtering Power Distribution Boards.